Well things are starting to turn the other way for the Nationals. After winning all 6 games of a road trip against the AL East they have now lost 4 straight at home to teams from the same division. The Rays beat the Nats 5-4 on Tuesday night behind David Price and not his best stuff after Chien-Ming Wang put up another dud effort (3 1/3 innings, 7 hits, 5 runs). The umps came out, and they confiscated the glove. The player was not allowed to pitch. 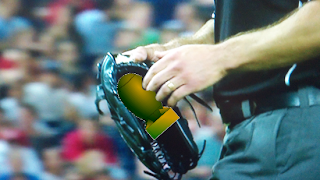 So of course the next inning Joe Maddon had the umps check the Nats reliever's glove. Guess what ... NADA! In his post-game presser reporters tried to get Davy Johnson to name names. He said it was a rumor and tried to dodge questions. Finally he just said that the pitcher was once on the team, he talked to some players before the game, and the rumor was discussed. Holy Cow, It's the WMD's that Drew Brees Was Looking For! As for the Nats pitchers, Wang should most likely be finished as a starter. Detwiler came in to relieve Wang and went 3 2/3 innings of hitless baseball with 3 K's. Neither guy is the greatest option for 5th starter but Detwiler is the superior choice. The Nats may look to add a guy in a trade or move up John Lannan, especially since Strasburg will be gone as well eventually. 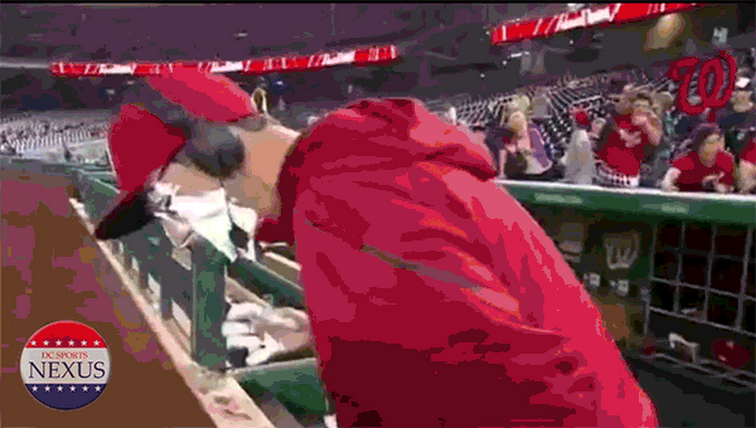 Meanwhile, back at the baseball game, Zimmerman picked up his first hit in forever and Michael Morse (barely) jacked his first homer of the season.The umps took 2 minutes to review the play, came back out, the correct call was made, and life was back to normal. See how easy that is? Why is it not at plays at home plate yet? Ian Desmond hit his 11th homer of the season, a career high...and we aren't even at the break. This scares me considering my favorite player was Mark McGwire. At one point in the game the umps stopped everything and made the Nats cover up this billboard. Not sure if it was an ump decision or a Joe Maddon decision.